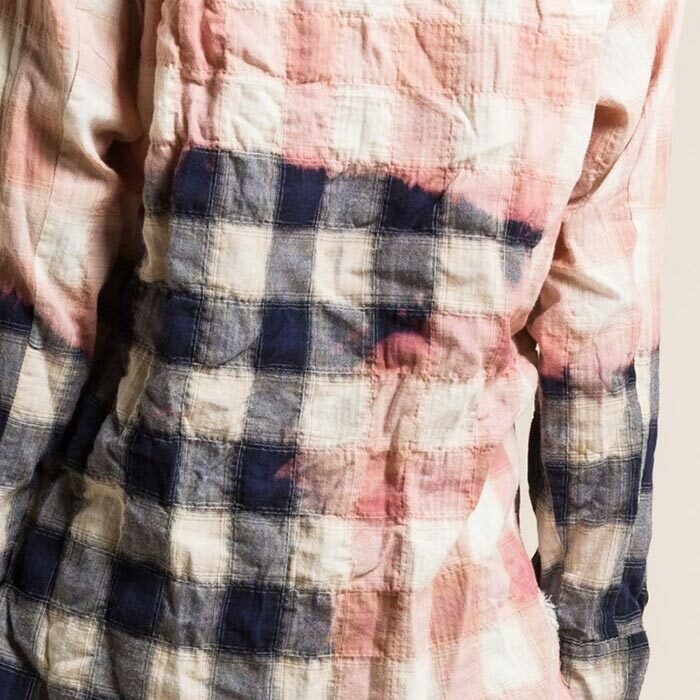 A new collection of nomadic yet urban, nostalgic yet modern, and distressed yet entirely functional clothing from designer Greg Lauren is now available in Workshop. Cowboy flannel, military tent fabrics, and soft sherpa all are crafted into his iconic artisanal and deconstructed style. While each piece has a rugged and avant-garde aesthetic, all have a point of reference that one can already identify within ourselves or a recognizable point in history. Vintage fabrics are given another form, one that honors its past and symbolism. 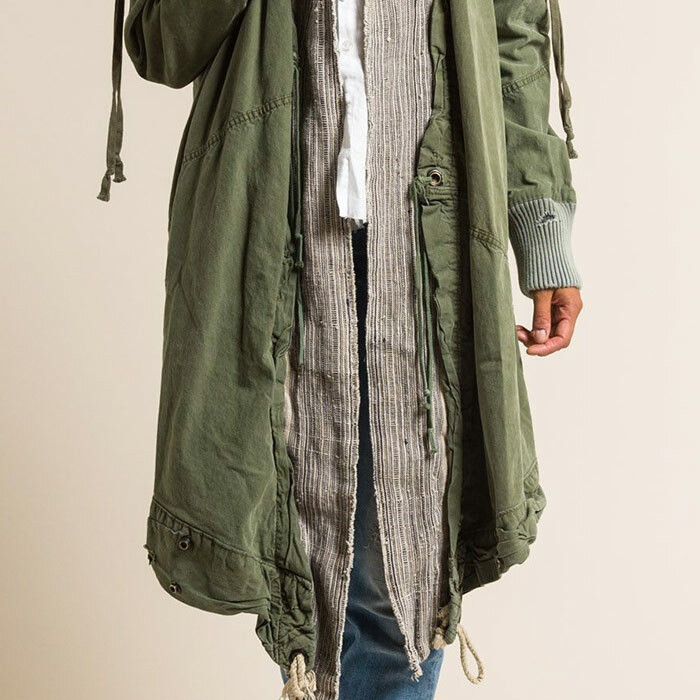 Utilitarian buttons and drawstrings on heavy khaki green cotton is recreated into a knee length duster jacket with distressing, zippers, and vintage fabrics. 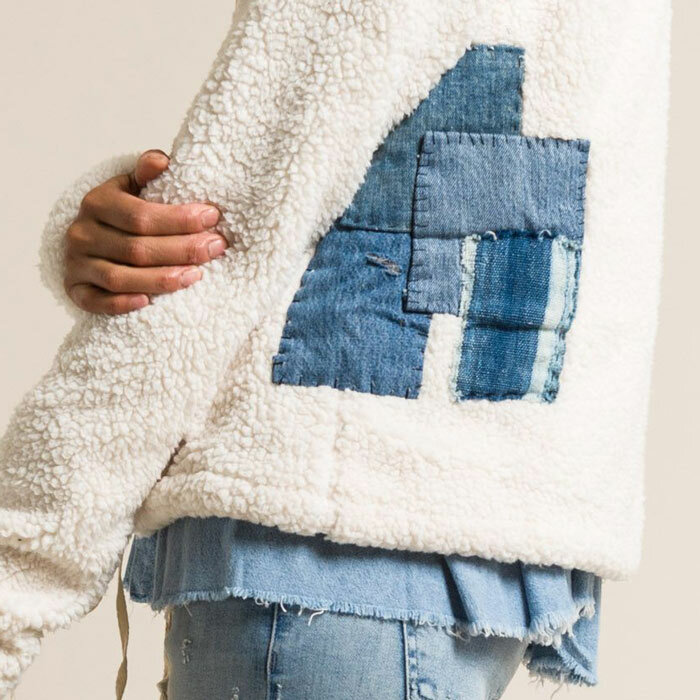 Soft sherpa is used in a jacket but accented with Japanese denim boro patchwork, which had a history of being only utilitarian in nineteenth century rural Japan. Blue cotton flannel is made into a knee-length open jacket with raw edges. 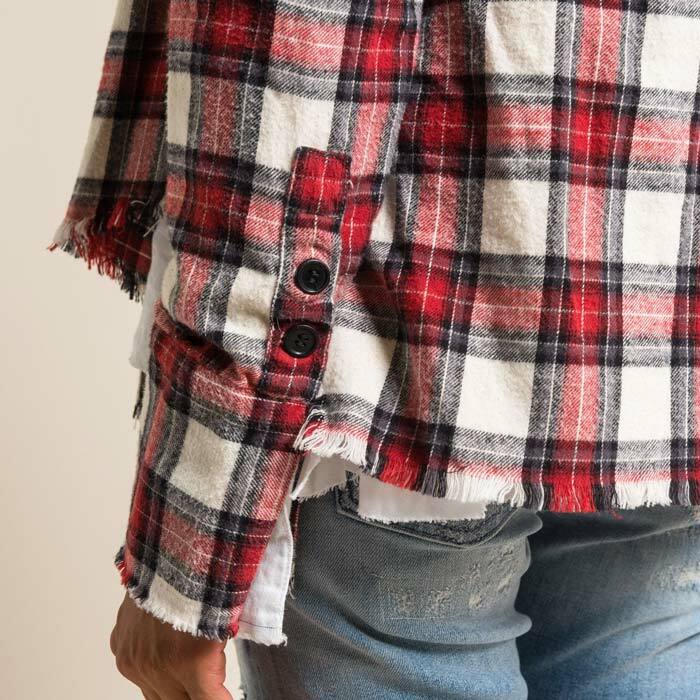 Greg Lauren creates clothing that has facets of the past—but they are created in a style that historic utilitarian into the present by appreciating and refining its aesthetic. The Fall/Winter 2017 collection is an extension of this and sold in Workshop in Santa Fe, New Mexico.